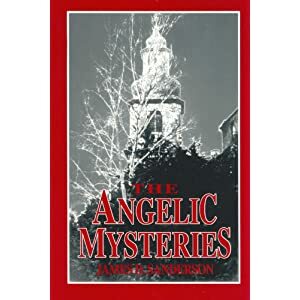 Welcome to the blog tour of The Angelic Mysteries by James D. Sanderson. 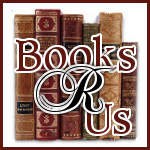 James is the author of the novel Mirabilia and a nonfiction book Called to Love. Thanks for stopping by. More is at stake than her wings when the beautiful angel Sarah finds herself grounded in New York City. She is accosted by a man she believes is an anti-angel – one who would capture her and take her into the dark underworld. Fortunately for her as she flees to Europe she meets a man, Daniel Allman, who is willing to travel along with her and offer some protection. Allman, however, is fleeing his own demons – the specter of madness that runs in his family. He is confronted with the possibility that none of this may actually be happening at all. There is no going back for either of them, it seems. I enjoyed the plot, and the angels theme but I felt the story was a bit rushed. I was able to finish the novella quite quickly and I was left with many unanswered questions. When I read a book, I want to feel like I am right there with the characters and feel their emotions. The personalities of the main characters, David and Sarah were not developed fully and I did not make a connection with them. The description of the villain Toombs was very shallow and there were times in the story that I did not know where the characters were and how the villain discovered them. After reading the guest post about Sarah, I was able to understand her better and I wish some of that information was included in the story. I am not saying that the novella is bad but it lacked emotions and scene descriptions that could have been developed better. I feel that Mr. Sanderson has potential as a writer and I hope that he continues to write in the future.